B&B Nautilus is an excellent choice for those who wish to spend a relaxing holiday among the typical Mediterranean landscape (olive trees and vine grapes), lakes, enjoy hiking and jogging paths, bicycle routes and at the same time, do not want to give up amusement and discoveries. The B&B Nautilus is located in Puegnago del Garda, about halfway between Desenzano and Salò, convenient to visit Verona or Brescia as well both cities distant about 25km. We are about 2-3 km from the beaches considered among the most beautiful on the Garda lake. You can reach in about 30-40 minutes by car the famous amusement park Gardaland, the Canevaworld Resort (Movieland), the Safari-Natura Viva, etc., a wonderland for kids (not only!). For golf lovers, two golf courses are very close. For those who likes horses, there are three ranches nearby. The villa is on two floors, the lower is reserved to the B&B Nautilus accessed by a separate entrance. It has double-bed bedrooms (with the possibility to add an extra bed), living room (with TV, DVD, etc) and the use of kitchen is available. Each bedroom has its own private bathroom. We offer self-service breakfast available in the living room or outside, under the portico overlooking the garden. Small pets allowed. The house has free Wi-Fi, a garden and free car parking is available. 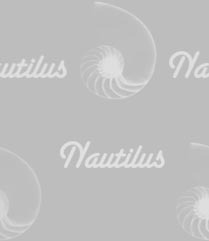 The family running the B&B Nautilus are world travelers well acquainted with guest requirements hence will do their best to meet your expectations.